This image of bathers in an exotic landscape of fiery hues was painted on Gauguin’s second trip to Tahiti. It is one of eight paintings that relate to the monumental canvas Where Do We Come From? What Are We? 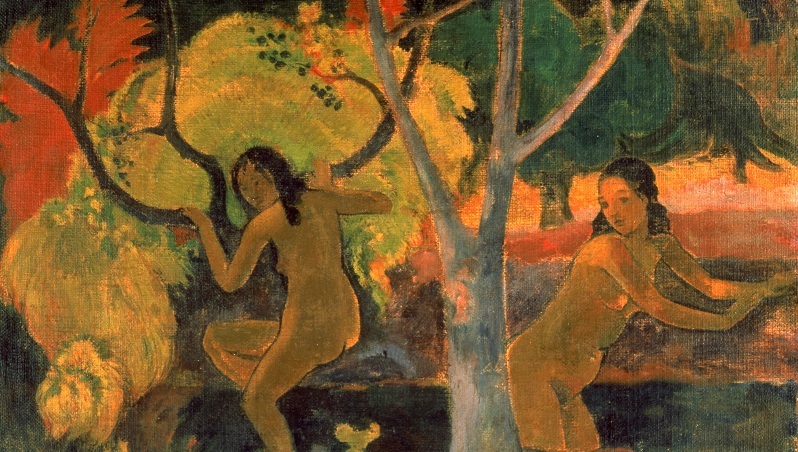 Where Are We Going?, a summation of Gauguin’s philosophy of life, civilization and sexuality. The paintings were described as ‘fragmentary replicas of and studies for’ the larger work when they were exhibited together in 1898. In this case, the figure to the left is enlarged from the part of the landscape background which deals with our fate – Where Are We Going? 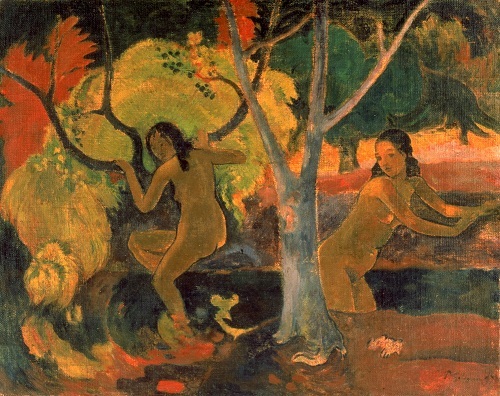 This painting was recently on loan to Grand Palais des Champs-Élysées, Paris, featuring in the exhibition, ‘Gauguin: L’alchimiste’ / Gauguin: The Alchemist. Exhibition showing 11 October 2017 to 22 January 2018.